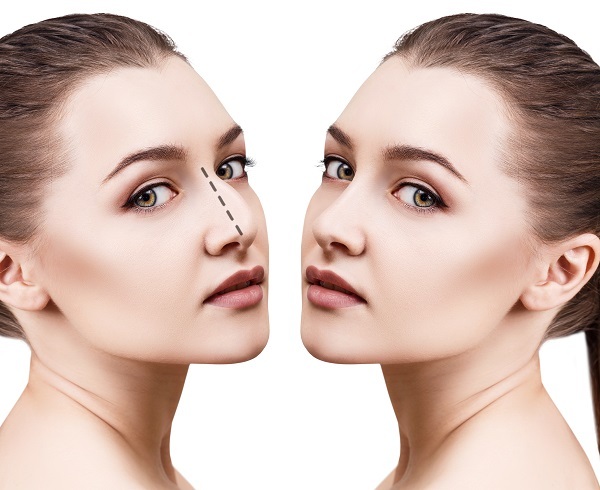 You may have heard your friends call it a "nose job": Rhinoplasty is a surgical procedure that reshapes, resizes and otherwise improves the appearance of the nose. This nose surgery also addresses breathing problems for people with a deviated septum. Dr. Levi Young is a board-certified plastic surgeon performing rhinoplasty and other procedures in Overland Park, KS. You can see examples of the facial plastic surgery he has performed in our gallery. To arrange a complimentary consultation with Dr. Young, please call our staff at 913-341-2188. This effective, popular procedure dramatically improves the balance and proportions of your face with the most subtle of changes. Hundreds of thousands of people undergo this procedure in the U.S. each year. Your nose has a strong influence on your overall facial appearance. Sometimes, the nose is not shaped or sized in a way that is harmonious with your eyes, forehead, chin and other facial features. Rhinoplasty improves balance and symmetry when looking straight at the face and in profile. A closed rhinoplasty, in which incisions are confined to the inside of your nose. Dr. Young re-shapes the underlying structure of your nose using these incisions. An open rhinoplasty, in which an incision is made across the strip of flesh between your nostrils. This strip is called the columella, and the incision is well-concealed once it heals into a small scar. This technique gives Dr. Young optimal access to the underlying structures of your nose. The right technique depends on your nasal structure and what areas are going to be re-shaped. 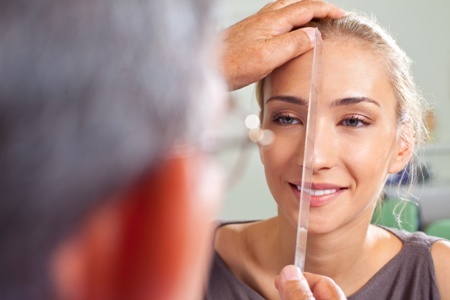 Rely on Dr. Young to provide you with complete information about the rhinoplasty procedure and what to expect. Expect to swell and bruise around the nose and eyes. The staff will provide you with tips for reducing swelling and bruising, such as icing the treatment area and sleeping with your head elevated. Your nose will be wrapped in gauze and supported by a splint. The splint will help your nose conform to its new shape and contour as it heals. The splint also protects your nose from bumps and other harmful run-ins. Bandaging and the splint are typically removed with 7-10 days. Swelling will persist for a few weeks, although a noticeable amount of swelling will dissipate after a week or two. After a few weeks, you will be looking at the new shape of your nose! Very minor amounts of swelling will remain for up to a year, although you are unlikely to detect it because it is so minor. You can assume you are seeing the final shape and contour of your nose after a year. You will need to take time off from strenuous activity for several weeks. After we find out what your normal activity and exercise routine is, we can give you an exact timeline for gradually re-entering those activities. You will need to stay home from work for at least several days. Because of the bandaging and splints, some people take additional time off. We'll help you decide what's right for you. The results of rhinoplasty are permanent. Nothing can stop age-related changes to the nose: As you grow older, gravity can cause your nose to droop or sag slightly. But the overall shape that was achieved with rhinoplasty will be lifelong. Are you interested in nose surgery to reshape or modify some aspect of your nose? If so, we encourage you to arrange a complimentary consultation with experienced Overland Park rhinoplasty surgeon Dr. Levi Young. Dr. Young is certified by the American Board of Plastic Surgery and has been performing cosmetic procedures of the face, body and breasts for many years. He is personally driven by creating beautiful results for his clients. Please call us today, at 913-341-2188, to learn more about our practice.